Jaguar West Chester is your family-owned and operated Jaguar dealership serving luxury car drivers in the greater Philadelphia area with a superior selection of premium Jaguar models with opulent cabins, stylish exteriors, and uncompromising performance capability. 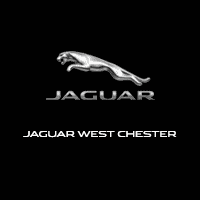 At Jaguar West Chester, we’re committed to living up to the premium nature of the Jaguar brand name. This is reflected in the quality of our boutique dealer facility, the variety of our inventory, and the commitment of everyone on our staff to delivering VIP customer service to everyone that steps foot on our lot. This commitment to our customers continues at every step of the way, including well after the time of purchase. Our premium Jaguar service facility gives you the West Chester Advantage, which includes 24-hour roadside assistance, complimentary scheduled maintenance, free vehicle hand wash and vacuum, free PA State inspections, complimentary Jaguar loaner vehicles, and much more. Take the time to browse our inventory online, or stop by and discover our premium selection and facility in person at 1568 West Chester Pike in West Chester, PA. If you have any questions before your visit, our sales team is happy to take your calls. *Per terms and conditions of JLRNA and prescribed in the warranty/maintenance manual.